Friday and Saturday movie starts at 7:30p.m. Sunday movie starts at 5:30p.m. This movie is rated PG and stars Peter Dinklage, Jason Sudeikis, and Kate McKinnon. 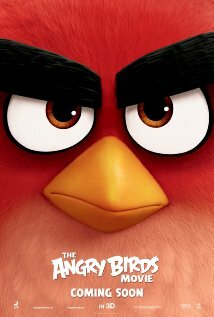 Find out why the birds are so angry. When an island populated by happy, flightless birds is visited by mysterious green piggies, it's up to three unlikely outcasts - Red, Chuck, and Bomb - to figure out what the pigs are up to.